Having a broken spring may not be the most common issue, but it is certainly among the most serious. Our advice for you is to disconnect the opener and stay put until we come over, and replace your spring with a new one. This is the best way to protect both the automatic door system and the people on the property. 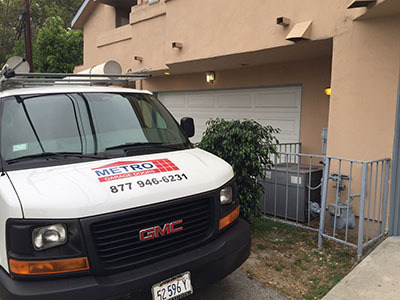 You can rest assured that the new component will match the weight and size of your door, as we are meticulous when it comes to spring adjustment to guarantee that the new component will work smoothly. The most common cause of this problem is a broken cable. That is why our first task when providing a solution will be to replace the snapped component with a new one that has the same design and length. We will adjust the door, so that it fits into place once again, and inspect the tracks closely for damage. If our check shows a bent track, we will straighten it to ensure that the door will open and close without any obstruction to the rollers. To ensure that all will be fine, our service includes a check of the other lift cable. In case it is frayed and/or has cuts, we will replace it too. One of the most common issues with any type of opener is dryness. This increases the level of friction between the moving metal parts and the noise level. Our solution involves lubricating the driving component, if it is made from metal, and the sections where the trolley and rail meet. Some of the opener’s hardware components are more likely to break compared to others. The list includes the main gear of the motor unit and the trolley. 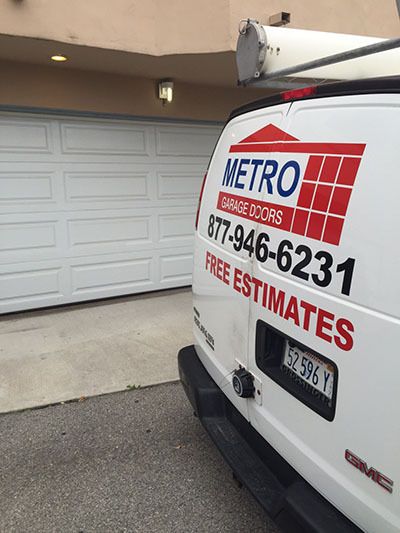 If any of them snaps and your door opener stops working, use our garage door repair services and we’ll replace the broken part quickly.